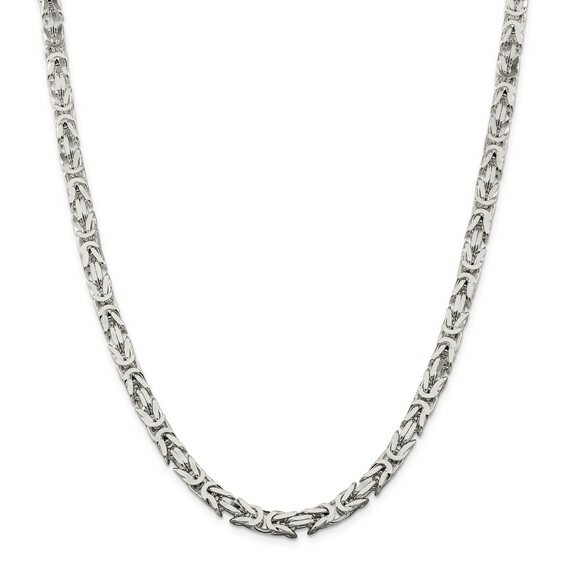 This 20in square Byzantine chain is made of polished sterling silver. 6mm wide. Weight: 87.1 grams. Lobster clasp. Made in Italy.